S.U.R.E. - the Somerset Unit for Radiotherapy Equipment - is a local cancer charity founded in 2000 to support provision of cancer services at Musgrove Park Hospital, Taunton. 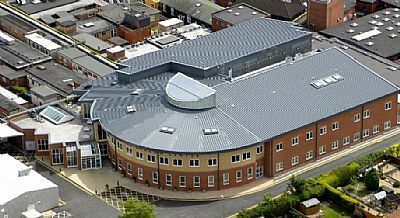 Discussions with the N.H.S and the decision to house a new Haematology and Oncology Centre at Musgrove Park Hospital, Taunton, resulted in the Beacon Centre at Musgrove Park Hospital opening its doors on 6th May 2009, with S.U.R.E. taking responsibility for providing the centre with a C.T scanner/ simulator and to contribute to the running costs for the first three years. Fund raising activities are organised by a small team who have all been victims of cancer or affected by the illness of a close friend or relative, and as they give of their time freely S.U.R.E. is justifiably proud that of every pound donated in excess of 99.5p goes into the fund. S.U.R.E. is a local cancer charity that has wide spread support in the hospitals catchment area and donations come regularly from supporters throughout Somerset. In the time that fund raising has been in progress over forty items of advanced technology have been funded by S.U.R.E. along with a facility to make screening masks for patients with facial and throat cancers. Fully equipped by S.U.R.E., this ends the need for most patients to travel to Bristol. However children and some patients with brain tumours will continue to go to Bristol since specialised treatment is required. The Mould Room facility was officially opened in October 2012. The emphasis for S.U.R.E. is now to help the Beacon Centre at Musgrove Park Hospital to remain a “Centre of Excellence”. For example S.U.R.E. will provide equipment for new or better treatments that would not otherwise be available, or readily available, within the NHS budget. In this way S.U.R.E. will continue to help cancer patients receive the best possible treatment with the best chance of cure or recovery.